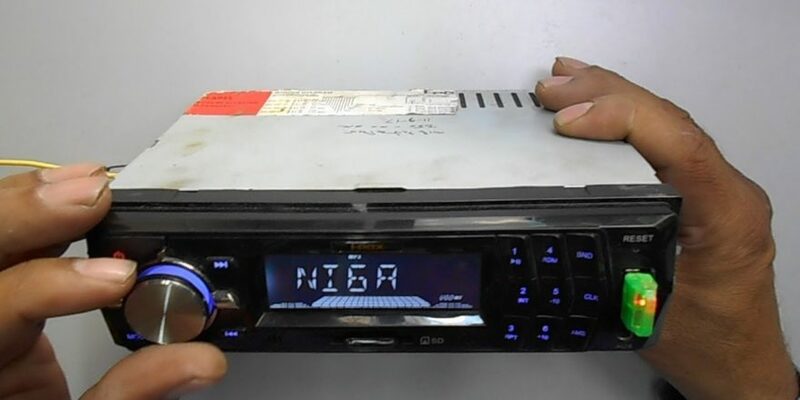 If your radio isn’t working the way it should, there are steps you can take to get it back up and running again. While radio repair could be a DIY project, in some cases you may need professional repair services. Here we’ll go over some of the common problems behind radio malfunctions and what to do when you need repairs. There are several reasons why your car radio may be broken. Radios often break because of blown fuses. If the car radio won’t turn on, there’s a good chance that your radio has blown one or more fuses. You can test your car radio for a blown fuse by using a voltmeter or get a professional inspection. If one or more wires have shorted in your vehicle’s audio system, you could be experiencing issues with the radio’s operation, or it could break down completely. Shorted wiring can also cause blown fuses, which means you may blow a fuse shortly after replacing a blown fuse. If the radio’s CD player or USB connections still function but the radio itself doesn’t work, chances are the problem lies with the antenna or tuner. Damaged antennas will prevent your radio from receiving signals from radio stations, while a damaged tuner requires a replacement of the head unit. Another common issue occurs with wiring. If your car radio turns on, but you don’t get any sound, or if the sound is only coming out of one or two speakers, the speaker wiring is likely broken. Speaker wires connect through the vehicle’s cabin and connect the speakers to the amplifier. If you need professional repairs for radio parts, you can either take your vehicle into a shop for repairs or send in the parts to experienced professionals who will repair the part and send it or a replacement back. Mechanics will be able to inspect the car to identify the specific issue and perform repairs on-site, but if you know which part is broken, you can send it to a repair shop and receive a fully functioning part in return. If your car radio is broken, you’ll want to make sure that you get the right repairs or replacement. You may be able to perform small repairs on your own with the help of a guide, but if you require a replacement, you’ll want to make sure that you get the right parts that are compatible with your vehicle’s make and model. For instance, if you own a Chrysler, you’ll want to make sure you get parts manufactured for Chrysler factory radios, which professionals can help secure. Keeping all of this in mind, you can get the car radio repairs you need to get your unit up and running the way it should.